Bedding, Bath Towels and Trunk Usage Included in tuition! We encourage brothers and sisters to attend camp together! We offer a tuition savings of $500 per family for enrolling a second child, and an additional $1,000 for a third child. Sibling discounts are not honored for two-week session lengths. 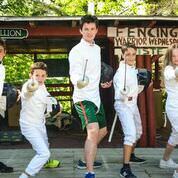 We strongly encourage campers to attend Robin Hood for a minimum of three weeks. Two-week session requests, other than the Last Two Weeks of the season (July 28-August 11), require special approval. The Last Two Weeks (July 28-August 11) and Last Three Weeks (July 21-August 11) are discounted substantially to encourage families to enroll during these dates when camper enrollment is smaller. 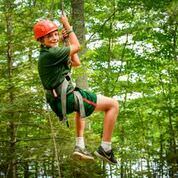 The advantages to attend during these time periods are: a more intimate experience where there is more room in each cabin, more and longer opportunities to waterski and wakeboard, smaller activity teaching classes, and a smaller ratio of campers to counselors. All registration fees are refundable until January 1, 2019 and tuition is refundable until April 1, 2019. Tuition is not refundable if parents withdraw a child after April 1, 2019 or shorten a session during the summer season due to illness or any other reason, or if a child is asked to leave due to a violation of the behavior code. After May 1, 2019, if you wish to extend a session, additional camp weeks are charged at $1,300 per week.